Your phone’s battery is about to die, and you have to leave the house within the next 20 minutes. You’re doomed, right? To fully charge a phone under these situations usually takes somewhere in between 1-2 hours, but obviously you got to step out within the next 20 minutes or you’ll be late for that movie, the tickets to which you had booked before. Stuck? Not necessarily. 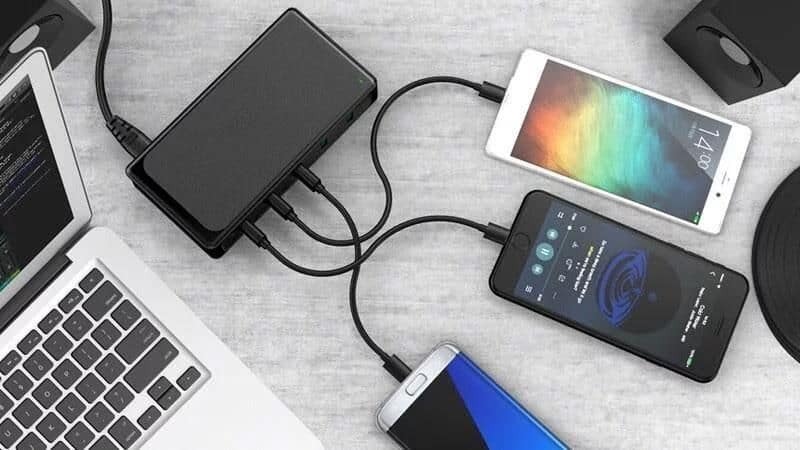 A fast-charging phone like the OnePlus 5, Samsung S8, or HTC U11 could save you in such time sensitive situations. A phone with fast charging can give you enough power to use it for several hours after only a 15 or 30 minute charge. Fast charging has become a big selling point for selling phones lately and a lot of companies are entering this arena with names like Qualcomm Quick Charge, OnePlus Dash Charging and Motorola TurboCharging. All these fancy names would power your phone for about 4-5 hours after a 15-20 minutes charge. Sounds cool, right? Now read this, how about you charge your phone just once in every three months, in the future? Sounds too much? Maybe. Maybe not. Beware of the nerdy-technology-related-scientific stuff, that is about to come; read at your own risk. Researchers at the Universities of Michigan and Cornell, have created a new magnetoelectric multiferroic material. It is formed of thin layers of atoms which make up a magnetically polar film. This can be flipped from positive to negative with only a tiny pulse of energy. This principle could be used to transmit binary code, the streams of 1s and 0s, on which our computers operate. This means they could send and receive data using just a fraction of the electricity. Currently, processors are built using semiconductor-based systems which need a constant flow of electricity. But processors built using magnetoelectric multiferroic systems would only need short pulses of electricity, using far less energy. According to Ramamoorthy Ramesh, Associate Laboratory Director for Energy Technologies at Lawrence Berkeley National Laboratory, electronics currently consume five percent of total global energy, and are subsequently the fastest-growing energy consumer in today’s world. By 2030, electronics could consume 40 to 50 per cent of global energy. Devising energy-efficient processors could have a significant impact on our global energy footprint. That’s some dope news by the way, like could this happen for real? And just think if it actually happens!